Join us on Saturday, April 20, from 9-11 a.m. at Fort Tuthill County Park for an Earth Day cleanup! We'll gather at the parking lot next to the Bike Park and grab supplies for picking up trash around the park. Volunteers of all ages are welcome. Please wear close-toed shoes and long pants, and wear sunscreen and a hat. Bring gloves if you have them. Parks & Recreation will supply trash bags and trash pickers. Bring a re-usable coffee cup and enjoy coffee and snacks available in the morning. This clinic will teach you how to make basic yeast bread and quick breads, fantastic for having at home and for giving as gifts. This program will cover white bread, rolls, banana bread, and more recipes to try. Ages 14 and older. Contact the event organizers for more information. 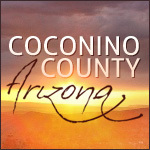 Coconino County Parks and Recreation is not responsible for information on event organizer's websites.